I woke up the other day expecting a much-hyped snow storm, and it was bright and sunny outside. Nary a flake of snow graced the weeds outside my window. It was, however, only 6 degrees F. This is entirely unreasonable. Time to make more soup. It warms the kitchen when cooking and warms you when you eat it. 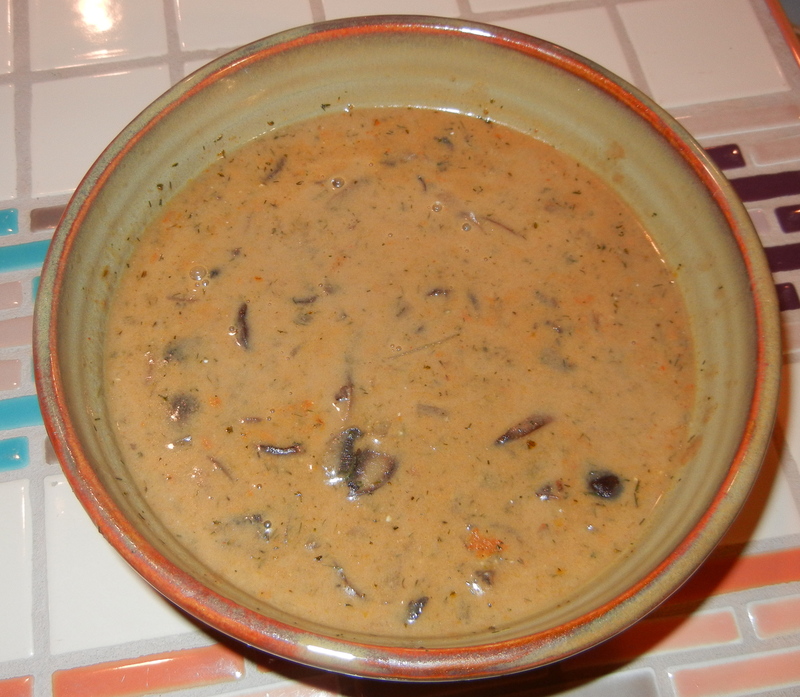 This mushroom soup, originally from Eating Well, is nice and thick. I used a mix of mushrooms: cremini (which now seem to be called “baby bellas”), a portabella, and some button mushrooms. I expect it would be just as good with only one kind of mushroom – whatever is economical to buy. When I first tasted the soup it seemed like it was too dilly, but the next day it was great. The flavors were complex and satisfying. It pays to use Hungarian paprika (not the hot kind) because it delivers a fuller, richer flavor than regular paprika. I halved the larger mushrooms before I sliced them. Heat oil in a Dutch oven or other large pan over medium-high heat. (I make everything in my big flat-bottomed wok.) 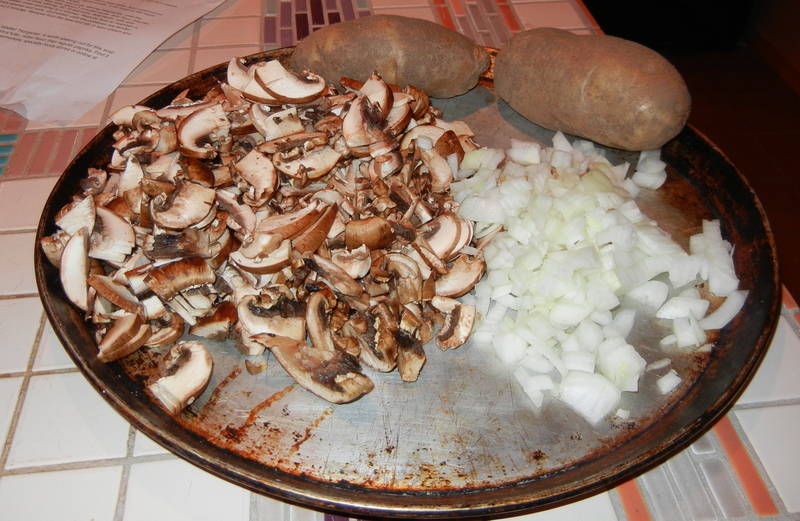 Add mushrooms and onion and cook, stirring occasionally, until most of the liquid evaporates, 10 to 15 minutes. 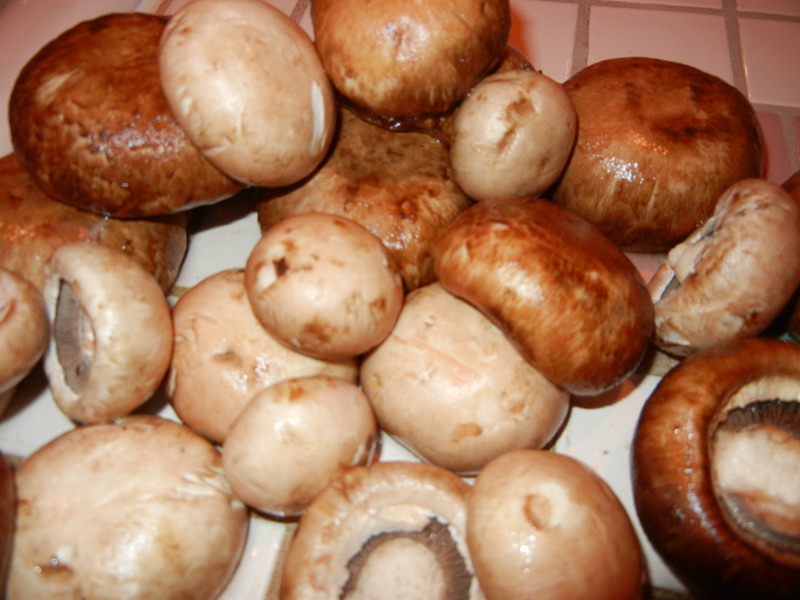 Reduce heat to medium and cook, stirring frequently, until the mushrooms are very soft, about 3 minutes more. Add flour, paprika and dill and cook, stirring, for 15 seconds. Add broth, milk and potatoes; cover and bring to a simmer. Reduce heat to maintain a lively simmer and cook, uncovered, until the potatoes are tender, about 5 minutes. Remove from the heat and stir in sour cream and salt. Makes 6 servings at 4 grams of fat/serving.